There are all types of travel jobs, but at the end of the day, they have one thing in common. They allow you to travel and do what you love while still earning a livable wage. You don’t need to know much about traveling in order to land one of these jobs that require travel. In fact, for many of them, you can work from home, your local coffee shop, or your favorite coffee shop in Italy. It’s estimated that fewer than 7% of business trip destinations are more than 1,000 miles away from their point of origin. This means that only 1 in 14 people who travel for work get to travel further than 1,000 miles each way. If you want to be one in 14 business travelers who has the freedom to go far from home, then this list of travel jobs is for you. The limitations on traveling for work don’t need to be this stringent. My goal is to provide you with a complete list of traveling jobs hiring immediately or independent travel positions that can be started at your own pace. I have personally traveled on numerous occasions while working online jobs over the years. The ability to schedule a family vacation or travel on a whim is freeing. There is nothing more confining than sitting in an office from 9 to 5 with no excuse to leave town at a moment’s notice. But all benefits aside, understand that traveling jobs are not for everyone. It takes hard work, consistency and above all, determination, to successfully work a travel job. If you have these work qualities or you’re willing to learn them, then you could be ready to make money traveling abroad. If you’re ready to dive into the travel industry and see the best travel jobs it has to offer, then let’s get started. Choose a profession that allows you to both wander and pay for your wanderings for the rest of your life. This first set of jobs that allow you to travel are unique because they are not bound by time, location, or skill level. These travel jobs are flexible, easy to get started, and require little to no experience. The benefit of becoming a digital nomad is that you can start working at your own pace and choose to travel now or later. A travel blogger earns money by writing about people, places, and things all while traveling the world. What better way to earn a living while traveling than to make money blogging about your travels. There is no doubt that blogging has proven to be a profitable job again and again. And choosing travel destinations as your topic only solidifies that your job and your lifestyle go hand in hand. Because travel blogging is independent of an employer, the amount you can earn is entirely up to you. People earn money traveling to all corners of the earth sharing their stories, tips, and traveling hacks with readers. DollarSprout (the website you’re on now) started as a simple personal finance blog by two guys (Ben and Jeff) who wanted to use their personal experiences to help others with their finances. After four years, they now work for DollarSprout full time with a small team. Travel bloggers earn money by referring readers to third-party businesses (think hotels, car rental companies, or travel sites), by displaying tasteful ads on their site, selling a product or service, or working directly with brands to provide honest reviews and travel guides. Blogging isn’t an overnight success kind of deal. However, it is a real job that moms, dads, students, and regular, ordinary people can use to make money in a location independent fashion. It may take months or even years for your travel blog to take off and start making significant income. But if you’re willing to put in the effort, it could be the perfect travel job for you. If traveling and writing sound like something you would enjoy, then consider one of the most popular travel jobs available and start your own blog. An Airbnb property renter earns money by renting living space to short-term occupants. With a service like Airbnb, renting your home to tenants is simple and safe. The nice thing about property renting is that you can set your own prices. It’s not uncommon to earn between $100 and $200 per night for renting out your home depending on your location and surrounding competition. If your home is located in a highly populated city or tourist location, the demand for your home could be high. 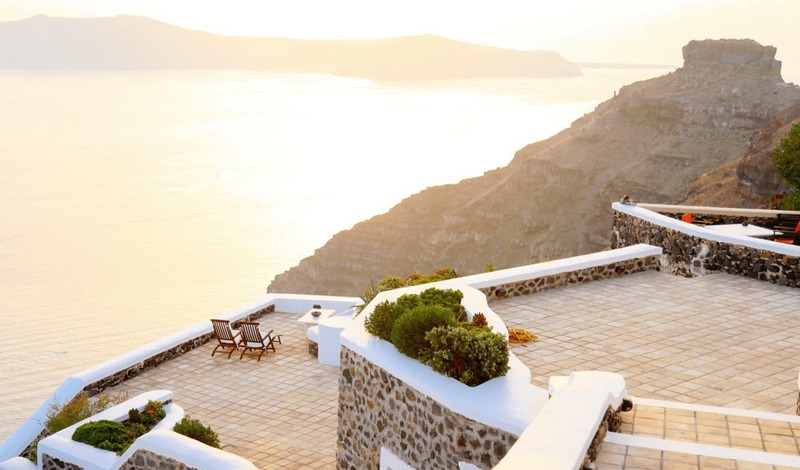 A comfortable house with simple, everyday amenities and clean facilities could bring in enough money to cover your next vacation or summer abroad. Renting your home on Airbnb has a dual purpose for wanderers. You can potentially rent your home and be earning money while you travel to a destination of your choice yourself. Who says that your home can’t be a vacation destination to someone while you enjoy vacation elsewhere in the meantime? Next time you have a strong desire to research travel jobs, consider renting your home on Airbnb, giving yourself the freedom to travel at will. Virtual assistants earn money working for clients virtually or online. From scheduling appointments to planning your boss’s next trip to Florida, a virtual assistant is a position that wears many hats. In fact, there are over 150 services you can offer as a virtual assistant. You may not work directly with traveling ordeals depending on your skills and clientele, but you can, however, travel as you work remotely. Becoming a virtual assistant allows you to travel the world as long as you dedicate a few hours to your clients as needed and have a reliable internet connection while on the go. I have personally traveled the U.S. East Coast while donning more than three hats at any given time. It’s fun knowing that you can travel while earning enough money to pay the bills and then some. 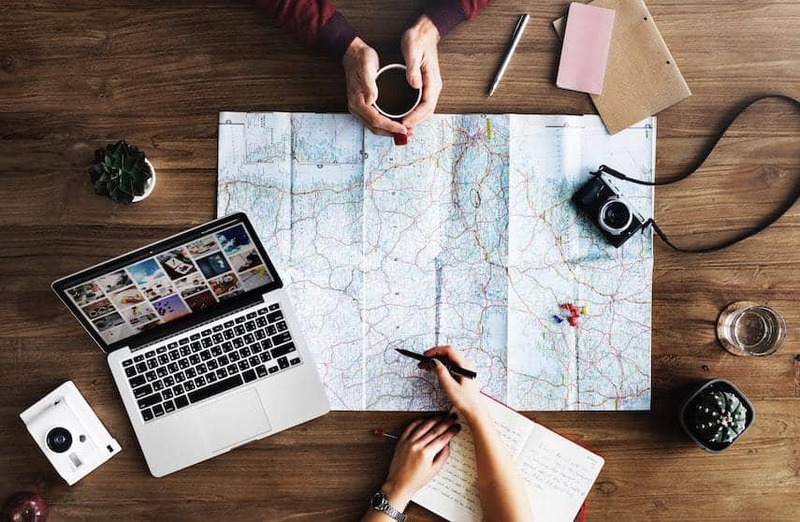 Traveling while on the job can make it difficult to stay focused on your work, but with enough determination, your will to work remotely needs to be as strong as your desire to travel. A travel freelance writer earns money writing stories for publications that need travel-related content. Whether you want to travel or simply live out your traveling fantasies in your writing, becoming a travel freelance writer allows you to do both. You may be daydreaming at your 9-to-5 office job while researching travel jobs for side income, or you’re ready to ditch the office altogether and make a living traveling abroad. The fact of the matter is, travel freelance writing is the perfect getaway for satisfying wanderlust. Freelance writers can earn upwards of $100 per hour working part time while traveling the world. And unless traveling topics are your only interest, you can find freelance writing jobs on just about any topic. The best travel jobs are those that allow you the flexibility to not only travel at will but also enjoy every minute of your journey. Freelance writing is a job that will never go out of style as the digital footprint of businesses grows by the day. A travel course creator earns money by creating online courses to solve common problems for travelers. If you’ve ever traveled before, you probably know about the struggles that people face when traveling somewhere outside of their comfort zone. From navigation issues to insecurities choosing the right place to lodge, there are more traveling problems than I could begin to list. But you, on the other hand, love traveling and therefore know how to conquer these problems as they come. Can you solve problems that the common traveler doesn’t understand? Are you organized and desire to help others travel with ease? Perhaps this is where travel course creation comes in. If traveling jobs are on your radar, then consider creating an online course to help travelers conquer their fears and problems head-on. Create one amazing course and earn money again and again as you partner with travel bloggers and travel agencies to market your course to the perfect target audience. Working virtually while you travel isn’t the only option. Some jobs, like the ones below, will pay you for traveling and working in exotic locations. An international pet sitter earns money taking care of a client’s pets while they are away from home for holiday or business travels. If children aren’t your cup of tea, perhaps dog sitting internationally or simply in a neighboring city is far enough from home for you. Apply to a pet services job on Rover and market your pet sitting services in any area you wish to travel. Some pet sitting jobs may require you to stay at the home for an extended period of time, giving you the opportunity to visit and tour the area. Rover specifically has a house sitting service that could include animals (or perhaps not). This is an easy way to go on a mini “vacation” while still earning money all the while. Pet sitting is the perfect travel job for animal lovers and allows you to enjoy some time away from your own home town. Apply to Rover in just 10 minutes to start offering your pet sitting services. An English teacher earns money teaching English abroad or online. English teachers are wanted both internationally and online to teach children English as a second language. There are travel jobs available to reside in a foreign country while teaching the language locally or opportunities to teach online. VIPKID is a company that contracts English teachers to teach students from anywhere in the world. Teaching English online allows you to travel anywhere while working at a job that reminds you of culture differences daily. Teaching English is a great way to make a living while supporting your desire to travel the world. As long as you have access to a strong internet connection and schedule your days accordingly, you can travel to your heart’s desire while teaching English to your students online. A nanny earns money by caring for children on a regular schedule. Nannies often live with the family that pays them for extended periods of time. Perhaps not as common as babysitting, live-in nannying is still a legitimate travel job today. Who says that your nannying job needs to be for your next door neighbor? Consider researching jobs out of your home town or perhaps away from your home country. Traveling jobs for nannies allow you to explore different parts of the world when you’re not busy caring for children. You can even get to know new areas and travel surrounding neighborhoods while the children are in your care. You can also consider a nannying job that requires teaching English to children. This typically requires international travel and offers greater opportunity and income while fulfilling your own travel goals. Whether you want to travel the world yourself or find travel industry jobs to help others with their travel plans and experiences, these jobs are for you. 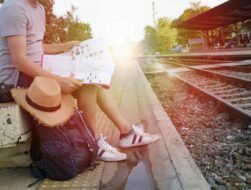 You don’t need to leave your home town to make money in the travel industry, but you certainly need to have a love for traveling that shines through your conversation and work ethic. Travel agents earn money by helping customers plan the perfect trip for both business and pleasure. Whether you want to travel yourself or simply live vicariously through the travel plans of others, you can enjoy either situation as a travel agent. While travel agents are mainly responsible for selling lodging, transportation, and insurance plans to clients, their job gets a little more interesting when it comes to discussing and planning destinations. You may find yourself daydreaming on the phone with a client while sitting in an office chair, but even still, planning a trip is half the excitement of traveling itself. At the end of the day, you can return to your own home and continue to plan your own upcoming travels to your favorite destination. A cruise ship staff earns money working in food preparation, cleaning, or any type of service on a cruise. From massage therapists to head chef, there are all kinds of travel positions on a cruise ship. Since a cruise typically lasts anywhere from 2 days to 2 weeks, it’s important that every kind of service and amenity is available on board. There are all types of jobs available to help a cruise run smoothly. Not all cruise ship jobs require any special experience. In fact, there are hundreds of jobs that are available to the average traveler. If you love the water, have a strong desire to travel and can get your hands dirty helping maintain a cruise ship, then this type of travel job might be for you. A resort staff earns money working in food preparation, cleaning, or any type of service on a resort. A resort is a travel destination for tourists to stay during their vacation or business travels. Typically all-inclusive, resorts can house restaurants, lodging, bars, pools, rental services and much more. If you have experience working in the restaurant industry, then perhaps a resort located at your ideal tourist spot is a good place to start applying to jobs. Housekeeping services are available to take care of guest rooms and onsite facilities. Both of these positions have the potential of earning tips from thankful customers if a low pay rate is of concern. Resort jobs are plenty and choosing to work in this travel industry job may fulfill some of your traveling dreams before it’s too late. Sometimes it makes perfect sense for happy couples to work together during certain seasons of life. 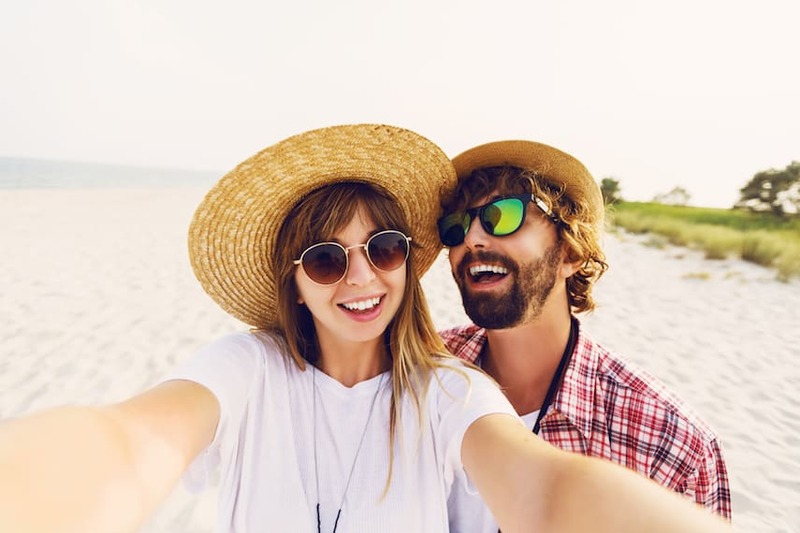 If you need to pay the bills but still hope to enjoy spending your days with your significant other, these traveling jobs for couples could be the answer to your financial and travel goals. Photographers earn money by capturing special events or family portraits on camera for clients. Become the next couple to travel the world offering your photography services. Have you heard about a friend’s upcoming wedding in Hawaii? Contract your photography services and be there to enjoy the travel experience and the travel job. To become known for your photography skills and contract clients around the world, be sure to grow your social media following globally. As you take the opportunity to travel, share photographs of popular tourist locations for your following to see. Stage wedding or family photos at popular destinations to gain experience and a social footprint with your target clients. Travel influencers earn money by partnering with third-party brands to bring their favorite products and services to their followers. Happy couples can work on building a following together as social media influencers. From sharing every travel hack you know to helping followers plan the perfect trip to Disneyland (or other popular destinations), you can earn a high income as a travel influencer. Work closely with your favorite third-party brands that help you travel with ease. In exchange, these brands pay you to mention them to your social following on a daily, weekly or monthly basis. By partnering with your favorite brand for each product or service that helps you in your own travels, you can build a well-rounded, interactive travel guide for your social following. Traveling salesmen or women earn money by meeting with customers around the world to pitch and close a sale. Building a sales team as a couple could be a fun way to earn a livable wage while traveling the world. Work as an employee for a company that requires face-to-face sales meetings around the world or become an independent salesperson for your own product or service. Because there is such a wide range of sales opportunities, the sky is the limit when it comes to building your selling empire. You can even sell exclusively digital products and services to avoid working with inventory. With the right traveling sales jobs, you could work a phone position that allows you the flexibility to travel when and where you would like. Each of these traveling jobs gives you the opportunity to travel to your heart’s content (or work in the travel industry to earn money for your future travels at the very least). 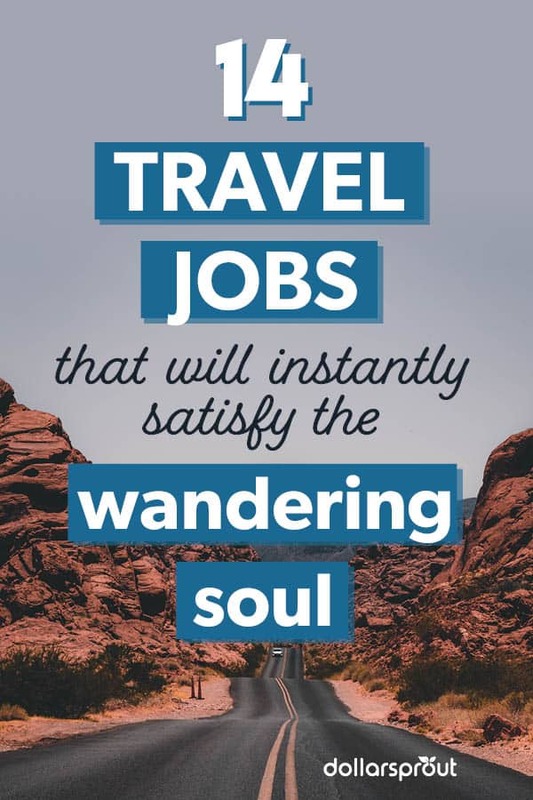 If you need to find an outlet for your wandering soul, consider any one of these travel jobs and enjoy the flexibility and perks they offer. Creating a travel budget may seem like a hassle, but it’ll actually make your vacation more enjoyable. Knowing that you’ve already planned out how you’re going to pay for everything will help you relax and have a good time.